No, this is not about Jesse James, Butch Cassidy or Bonnie & Clyde, but you may better relate to them when you’re finished reading this. I don’t typically spend a lot of time looking at my credit card bill; two reasons: usually it’s zero so there’s not much to look at, secondly if it isn’t zero I immediately pay whatever is owed and file the statement. For whatever reason, last month, I looked over my last bill fairly carefully and I noticed some scary numbers and several ‘warnings’ from the credit card company. The first ‘warning’ was regarding the Annual Percentage Rate for various activities. For example, a regular ‘purchase’ or a ‘cash transfer’ had an Annual Percentage Rate of 13.74%. A nice return if you can get it. Oh, I guess they can! I thought that seemed rather high, until I saw what it cost for a ‘Cash Advance’ . . . 25.49%! I’m surprised there wasn’t a quote from Guido, the leg-breaker, telling me that they have ways of making me pay. If you make no additional charges using this card and each month you pay only the minimum payment, you will pay off the balance shown on this statement in about 19 years! And you will end up paying an estimated $11,575!!! It goes on to tell me that if there is a penalty, like a late fee, there is a limit on what interest rate the banks can charge us – 29.99%. Well thank goodness it’s not 30%!!! I know this has been going on for a long time, but as I researched further, I realized just how the banks have been ripping us off for years and I’M MAD AS HELL AND I’M NOT GOING TO TAKE IT ANY LONGER! OK, maybe I am, because I don’t have any other alternative and that’s just the way the banks like it. Here’s some historical data to chew on, or perhaps it’ll chew on you. The bank’s rate to borrow money (the discount rate) has dropped from around 14% in the early 80’s to its current level of 1%, while the banks have only dropped their credit card rate from 17% in 1980 to 13.7% today. 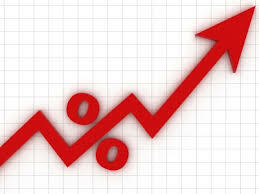 Let me do the math for you, the bank’s rate to borrow money dropped by 93% during that time period while their credit card rate dropped by only 20%. But they certainly dropped their Certificate of Deposit rate quick enough; that rate in 1985, for a 1 year CD was up to around 12%, today it’s around .25%, yes, that’s right ¼ of 1%! 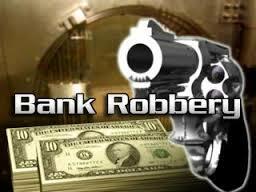 Have you noticed that virtually all the banks have about the same rate for everything? That’s called ‘price fixing’ which, in effect has all the banks acting as one, which is a monopoly. Both price fixing and monopolies are supposed to be illegal! To support the price fixing argument, take a look at mortgage rates; in the 1980’s they were as high as 18% for a 30-year mortgage, today they’re in the 4’s. Why have they dropped so precipitously? Because there are institutions other than banks that make home loans, so there is honest competitiveness. I can guarantee you that if banks were the only ones making home loans, those rates would be somewhere around 12% today. But there is a reason that banks need to rip us off, they have some fairly high compensation packages to satisfy. Brian Moynihan, CEO of Bank of America made $13,722,849 last year. J.P. Morgan Chase CEO, James Dimon made a hefty $28,000,000 in 2016. 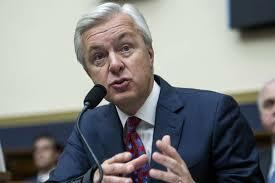 Wells Fargo CEO, Timothy Sloan made a paltry $12,830,000 last year, but Wells had to pay John Stumpf, their former CEO, who left amid the ‘fake account’ debacle, $130,000,000 in severance pay. Boy, I guess they taught him a lesson! So the next time you see a bank advertisement on TV or see one of those ‘warm and fuzzy’ posters in your branch, just remember that they are just trying to find another way to rip you off. Anybody want to help me rob a bank? 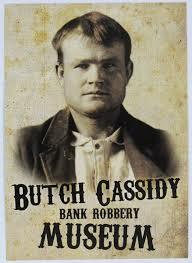 I would be honored to be in the Butch Cassidy Bank Robbery Museum. Are you sober yet? If you’re like millions of Americans you celebrated St. Patrick’s Day last Friday by consuming some spirits in honor of the occasion. Some of us are genuinely of Irish extraction but on St. Patrick’s Day everyone is Irish. Simply donning a green hat or sporting shamrock underwear gives the wearer some implicit permission to get toilet-hugging drunk. There actually are a lot of Americans with Irish bloodlines – 37 million to be exact. That’s 12% of the population, ranking just behind Germany in most frequently reported ancestry. Heck, we have eight times the number of Irish than Ireland itself! Which is probably as good an explanation as any as to why the holiday is so much more popular here than in Ireland. Twenty years ago my husband’s cousin from Scotland came to San Francisco on business and we met him for dinner near our workplaces. Unfortunately, the only night he had available was St. Patrick’s Day and to further the problem, we worked right around the corner from Harrington’s Bar and Grill. We met at a nearby restaurant that required our cousin to walk from his hotel right by Harrington’s front door. Or as close to the front door as he could get. 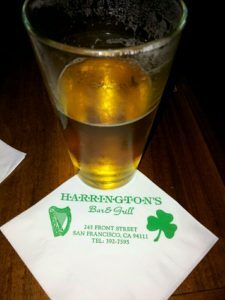 There are a lot of Irish in San Francisco and they seemingly all gather at Harrington’s each year to celebrate the patron saint. When he finally navigated his way to the restaurant he was wild-eyed and I think just the tiniest bit shell-shocked. He stammered, “What is with you Americans and St. Patrick’s Day?” Well, it turns out, we practically invented the holiday. Since around the ninth or 10th century, people in Ireland have been observing the Roman Catholic feast of St. Patrick on March 17. But the first parade held in honor of St. Patrick’s Day took place in the United States. On March 17, 1762, Irish soldiers serving in the English military marched through New York City. The parade, along with their native music, helped the soldiers reconnect with their Irish roots and fellow countrymen. Over the next three decades numerous groups formed to celebrate Irish heritage, each sponsoring a parade on St. Patrick’s Day. 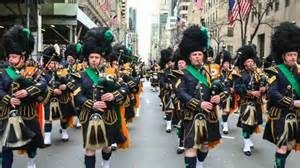 By the mid-1800s the groups combined forces into what is now known as the New York St. Patrick’s Day Parade, the largest in the country and the oldest civilian-sponsored parade in the world. Of course, all that marching is exhausting so finding a good pub to quench one’s thirst became part of the day’s tradition. Some people take pride in finding good Irish pubs wherever they go, regardless of the time of year. In fact, although I won’t mention names, someone I’m related to that also writes for this blog fashions himself a connoisseur of Irish drinking establishments. He is the only person I know who could trek all the way to Machu Picchu and find an authentic Irish pub in which to have a Guinness. But he is far from alone. What is this obsession so many have with the Irish? I’ve read more than one article claiming the Irish are the most beloved ethnic group in the world. Of course, part of that affection is tied to the “happy drunk” reputation, but in fact it goes further than that. The Irish are deemed to be some of the most sentimental souls on Earth. One need only read the famous Irish poets to understand the truth of that. The Irish are also known world-wide for their sense of humor and dry wit. Oscar Wilde, the noted Irish writer, filled our world with his bon mots. One of my favorites is: “It is absurd to divide people into good and bad. People are either charming or tedious”. George Carlin was perhaps one of the funniest comedians ever with his wry observations of everyday life and Melissa McCarthy is a talented entertainer (come on, that bathroom scene in Bridesmaids is a classic!). The Irish also have the ability to write lyrically and capture an audience, despite sometimes playing fast and loose with the facts. One of my favorite sayings, told to me by an Irish friend who was wound-up in the middle of a fantastical yarn, is “never let the truth get in the way of a good story”. My brother and I have at times adopted that as our motto. There’s also the famous saying “Luck of the Irish”, although I have discovered that the phrase started as a derisive jab at the Irish immigrants who came to America in the late 1800’s. It originated in the gold and silver mines to describe the Irish who found their “pot of gold” and became rich and successful. The Irish were never given full credit for their accomplishments. Instead it was widely believed that the “Irish fools” had gained fortune only by sheer luck, as opposed to brains and hard work. Our only full-blooded Irish ancestor, Julia Stack Billiou, came to America during this period but as you might recall from my last post, she was not lucky in any sense of the word, having been shot by her Chinese cook. Nevertheless, her immigration gives our family claim to Irish heritage and provides cover for our love of good writing, a stout beer, and a strong Irish Coffee. I call that lucky indeed! As I was sitting out in the desert this past week, well I was not actually sitting in the desert, I was sitting at our Marriott Desert Springs timeshare, anyway, I recalled the first time I ventured out this way. It was in the early 70s and brother Jack had just started working as the restaurant manager at Ironwood Country Club in Palm Desert. Although I lived in Orange County, it was a particularly cold January and dark clouds hung in the sky as I traveled southeast on Interstate 10 to ‘the desert’. As I entered the Coachella Valley I could see that Mt. San Jacinto and the rest of the Santa Rosa Mountain Range was holding back those dark clouds so there was not a cloud over the entire valley. It was not only my first time in the desert, but it was the first time I could drive for an hour and a half from my home and find a totally differ ecosystem. I learned that there were many famous people who had a second home in the desert, such as Bing Crosby (You can stay in his house today for $3,000 a night! ), Frank Sinatra, with a piano-shaped swimming pool, Dean Martin, whose pool was filled with martinis (Just kidding . 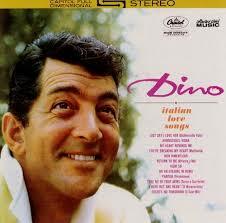 . . maybe), Sonny Bono (excuse me, Mayor Bono), Gene Autry, Liberace and many, many more. I subsequently found out why the stars back in the day made the desert their go-to get away place. ‘Interesting fact #1’: Most actors had a clause in their contracts, called the ‘2 hour rule’ where they could not be more than two hours away from the studio. Palm Springs was just under a two-hour drive, but a whole world away, so that’s where they headed. But I digress; those aren’t even the stars with which I was first impressed. During that first trip to the desert, I certainly noticed that the weather was warmer, but the real ‘a ha’ moment for me came that evening, when I was sitting out on the deck of an Ironwood Country Club condo feeling a warm desert breeze, which hardly moved the umbrella in my mai tai, and I looked up to see billions of stars that sparkled as brightly as I’d ever seen them. The Big Dipper was bigger and dippier, the Milky Way was less milky and Ursa Minor looked Major. I could see half the planets in our solar system with my naked eye (the rest of me was fully clothed). Aside from the spectacular stars, my other most memorable recollection was, ‘There sure are a lot of palm trees around here!” I did notice that these palms were a little different from the King and Queen palms with which I was familiar, these were Date Palms and there were thousands of them. ‘Interesting fact 2’ – This desert produces 35 million pounds of dates annually, that represents 80% of the U.S. crop. You may not have been aware that there are male and female date palm trees and you also may not know that they typically have trouble reproducing, so date farmers must climb the male date palm tree, collect the pollen then climb a female tree and pollinate its flowers. Caution: don’t try this with your date! #3: The 50,000 swimming pools are the most pools per capita in the country. #6: In 1980 the Cabazon Band of the Mission Indians opened the first casino in the U.S. on an Indian reservation; it is now called Fantasy Springs Casino Resort & Spa. I’m proud to say that my contributions (involuntary) have helped make it what it is today!! 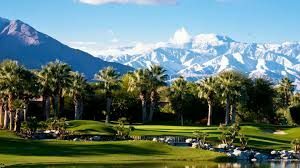 For me the desert is truly an oasis, tons of beautiful and challenging golf courses within a few minute’s drive, great bars and restaurants, the Marriott Villas are a great facility and the weather rarely disappoints. There was a bonus on this trip; I was introduced to some different stars – tennis stars. 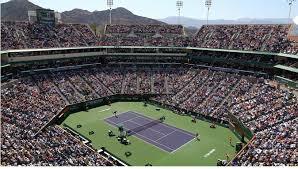 We attended the BNP Paribas Open tournament, which draws the top players in the world to the beautiful Indian Wells Tennis Garden. I had seen this facility from afar many times while driving through Indian Wells, but never been in it until now. It is ranked as one of the finest, if not the finest tennis facility in the world. Watching Djokovic and Federer win their matches on a beautiful desert evening was something very special. 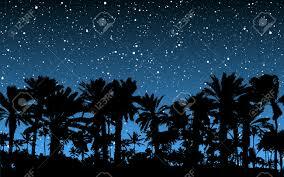 The stars in the desert just keep sparkling. Last week I was researching the history of Pulga, a small town in Northern California, for some copy I’m writing for their website. As it happens, this town is very close to Willows, where our dad’s family settled in 1829. Our dad was born and raised there and the land is still owned and ranched by members of our extended family. When I wrote our family history six years ago I discovered that we had something of a colorful past – our great-great grandmother, Julia Billiou, was murdered while sitting at her dining table. That’s not something you find on Ancestry every day. When I was writing our history I was lucky enough to connect with a third cousin (I think twice removed but I can never keep that stuff straight) who had a treasure trove of information about Julia and her husband, Joseph Billiou, including copies of the newspaper accounts of her murder. 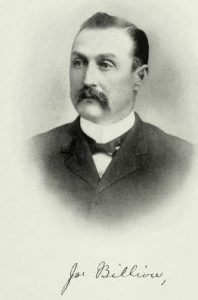 The local papers in Oroville and Chico reported that the Billiou’s 16 year-old Chinese cook, Hong Di, burst out of the kitchen on the night of April 7, 1887 and in a drunken rage, shot the ranch foreman, William Weaver, in the shoulder. He then shot Julia as she rose from the table, striking her directly in the heart and killing her instantly. Our great-grandmother, Annie, was shot at three times, but by that point Hong’s aim was a bit off and he missed her each time. Hong ran from the ranch, hiding in the brushes near the local creek for three days until he was caught and brought to trial. The jury found him guilty, but instead of the normal death sentence for a murder, he was sentenced to life imprisonment. It would be a vast understatement to say that the verdict did not go down well with the local townspeople. Before the judge and jury had even left the courtroom there was shouting from the gallery calling for Hong’s lynching. The mayor called out the posse to guard the jail that night but a raucous band of 200 vigilantes stormed the facility. They found the cell in the basement where Hong was detained and demanded a full confession. This confession is what was reported in the local papers – that he’d imbibed in too much whiskey and that he didn’t mean to kill Julia as she had been kind to him. Nevertheless, the vigilantes dragged him down the street to the train turnstile and hung him. According to the papers, there was great celebration that night over the “justice” that was carried out. None of the vigilantes were ever arrested for their actions. Joseph Billiou – jerk or jilted? Fast forward to last week when I was doing research on Pulga. I decided as long as I was studying the local area I’d Google Julia’s murder to see if there was anything I’d missed. It turned out to be a lesson in “be careful what you wish for” because there was new information and it did not reflect well her. A recently published book about lynching in California has a full page devoted to Julia’s murder and Hong’s hanging. The author wrote that both the San Francisco Chronicle and the Sacramento Bee published the FULL account of Hong’s confession while the local papers chose not to run the full story because it “impinged on the good character of one of the town’s most beloved citizens”. To say the least. It turns out that a couple of months prior to the murder, while Mr. Billiou was in San Francisco on business, Hong stumbled upon Julia and Mr. Weaver in a “compromising position” up in the hay loft when Joseph was out of town. Mr. Weaver threatened Hong with death if he told Mr. Billiou about the affair when he returned to the ranch. Hong’s full confession also stated that his real target was Weaver and that he had great affection for Julia because she taught him to read and write English. So in that spring of 1887 I think it’s safe to say that tensions were running a little high in the household. Julia was cheating on her husband, the ranch foreman was fooling around with the boss’s wife, and the cook was scared of being killed at any moment. These new revelations have me taking a second look at Julia. Her track record for fidelity wasn’t so great to begin with. Shortly after she arrived in Willows from Ireland she was engaged to Joseph’s brother, Michael. When Joseph arrived in California to join Michael, Julia broke off the engagement and married Joseph. That had to make for an awkward Thanksgiving. Then at age 50 – which was like 100 in 1887 – she has a fling with the ranch foreman. Maybe Joseph was a real jerk and she could only find true love with Mr. Weaver. She took her secrets to the grave, not even leaving a photograph of herself behind, so she’ll forever remain an enigma. All I know is that I will never again look at all those prim and proper women in my family tree in the same way.